Over the years Trifibre has had the pleasure of supplying flight cases, padded bags, PVC rain covers and waterproof cases into the motorsport industry. Our quality, experience and speed of supply has made us successful in providing shipping solutions to Formula One Teams and Sponsors as well as a host of teams across other variants of the sport. Teams we have supplied include Mclaren, Mercedes, Force India and Caterham. 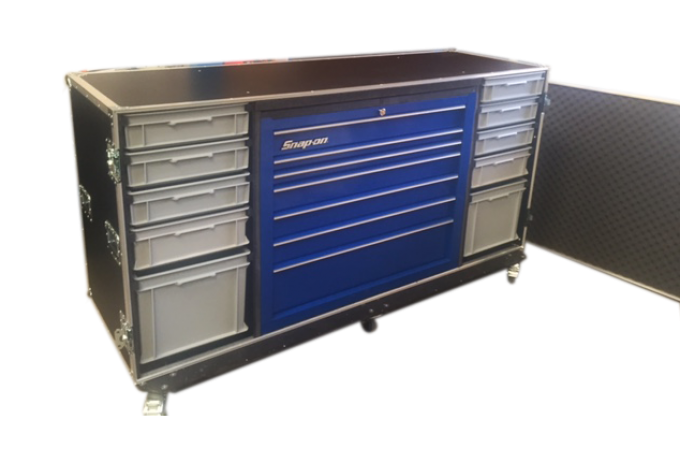 Some of the items we have supplied include padded bags to protect the bonnet of a GT car, flight cases and bespoke metal containers designed to house an entire car and rack cases for use in the pits. Our products are built to withstand the rigours of shipping from track to track and can be branded with your team logo using our in house screen printing facilities.